Why Offer a Weight Loss Program? Obesity exacerbates many health problems and the healthcare costs for the obese tend to be higher than healthy weight individuals. However, to date insurers have not been allowed to charge different premiums based on the weight of the insured. In the United States the prevalence of obesity has been increasing at an alarming rate. Current estimates have two-thirds of Americans either overweight (34%) or obese (31%) . Although Health Risk Assessment (HRA) data will quantify the extent of the need for weight loss in a given employee pool, it is anticipated that the number will follow the same percentages as the general population. The prevalence of diabetes within the population, and those at risk for diabetes, suggests that weight loss may be the number one priority. A study found that gaining as few as 11 to 18 pounds can double the risk of developing Type 2 diabetes . Obesity is directly associated with a higher incidence of serious chronic conditions, including diabetes, asthma, arthritis, high cholesterol, high blood pressure and coronary heart disease. A study completed in 2005 of over 20,000 full-time employees by the Centers for Disease Control and RTI International (a non-profit think tank) found that each obese employee costs their employer anywhere from $460 to $2,500 annually in additional medical expenditures and work absences. More recent studies have shown that the actual costs are likely much higher. Weight loss has been shown to lower blood pressure and blood sugar, and improve lipid levels. Research also shows that improving the health risk profile reduces healthcare costs and may improve productivity. Weight loss programs that have the best outcomes are those that assist individuals in making necessary and sustainable modifications to their eating and exercise habits through medical supervision, individual diet modification, and frequent interaction with a medical professional . Data also suggests that to maintain long-term weight loss it is critical for care providers to understand and address the underlying psychological issues that accompany obesity, and to develop a “therapeutic bond” to assist the patient as they modify their behavior and choices. The medically supervised programs developed by Lindora Clinic (www.lindora.com) provide the clinical interaction necessary to achieve and maintain significant weight loss. The company’s 45 year track record supports the efficacy of their program in addressing both obesity and, on a preventive and remedial basis, the co-morbidities of obesity including Type 2 Diabetes. The results of an internal retrospective study of new patients’ weight loss during their first ten-week program are shown below. 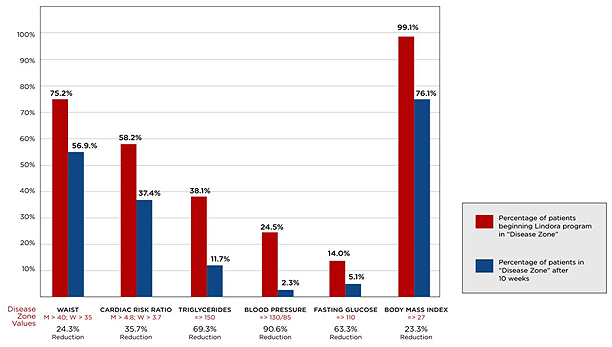 Another internal study of 584 Blue Cross of California members demonstrated significant improvements in metabolic risk factors after the initial Lindora 10 week weight loss program. The Lindora Clinic program can yield tremendous results in addressing obesity and related health costs associated with it among the participating employees. This is indicated in an article published in the Spring 2005 issue of The Bariatrician. This article was produced by clinicians that were affiliated with Lindora; however, the report provides the clinical information and outcomes data for the Lindora Clinic method of weight loss over a twelve-month time frame. The study reported that the greater the patient’s starting BMI the greater their total and percentage of weight loss. Of particular note was the patient group with a starting BMI greater than 40. Those individuals’ body weights had decreased 17% at the end of the first year. To encourage employees to take advantage of this program, consideration should be given to offering additional incentives that may ensure a long-term commitment from those who participate. These incentives could include; reduction of employee plan contribution, subsidy for food products, milestone achievement bonuses, and time off at completion of program. The Lindora Clinic Lean for Life® weight management program is a medically based, proprietary weight loss and weight management program. The program and protocols has evolved since 1971 through continuous patient treatments within a specialty medical practice. It is built upon a multi-faceted physiological, behavioral and cognitive therapeutic lifestyle change approach to promote long-term results. It provides a personalized program that addresses each aspect of the patient’s core lifestyle (e.g., nutrition, physical, psychological, social support and stress management). The program has two main phases: weight loss and lifetime maintenance. The weight loss phase utilizes a reduced calorie diet which facilitates converting the body’s stored fat to energy. Daily menus consist of lean proteins and fruits and vegetables, as well as small protein based snacks. During this phase, the patient visits the clinic multiple times per week to meet one-on-one with a licensed nurse or health educator that has extensive knowledge of the Lindora Clinic program to review their Daily Action Plan and Food Diary; record their weight; discuss their “plan of action” for any anticipated challenges; develop strategies for addressing those challenges. The frequent short visit modality supports and reinforces the behavior change process. These daily visits take 5-7 minutes. During each visit the requisite therapeutic bond with the clinician is established, providing the patient with accountability required for their success. The Lifetime Maintenance phase is structured to reinforce the healthy habits that are necessary to maintain the achieved weight loss results. This unique component of the Lindora program is the core upon which the patient’s long-term success is built. During this phase patients continue to visit the clinic regularly, but less frequently. This structure provides the continued accountability that reinforces lifestyle changes. If necessary, a brief “refresher” weight loss program can be recommended. 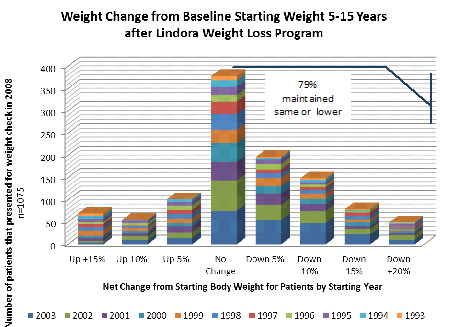 Depicted below is change from patient’s starting weight at initial program to the most recent weight for patients who presented at a Lindora clinic for a weight check in 2008. The cohort includes all patients who presented in 2008 and had a first weight loss program 5 or more years prior. The data shows that of this cohort 79.07% of patients maintained baseline or lower weight levels. The Initial Contact: This is an introductory visit. During this visit the prospective patient will meet with a program expert (Lindora Clinic trained nurse, provider, or health educator). An evaluation will be made based on weight, BMI and Lindora’s proprietary health risk assessment. A few moments will be spent to introduce the elements of the Lindora weight management program and the health benefits of achieving and maintaining a healthy weight. Together the program expert and patient will set goals and create a plan for realizing those goals. Prior to beginning treatment: All patients complete a health and medical history allowing for the assessment of any specific healthcare concerns. Each patient also completes a demographic questionnaire. A focused review of the patient’s medical history, lab screening results and a brief physical exam is completed by the medical provider specifically trained in the Lindora Program and bariatric medicine (Doctor, Nurse Practitioner or Physician Assistant). Comprehensive laboratory blood screenings are completed to evaluate for underlying physical conditions or deficiencies that could require medical attention prior to beginning the intervention of the Lindora Clinic Program. Program Visits: The patient is provided verbal and written instructions on how to get started on their Lindora weight loss program. 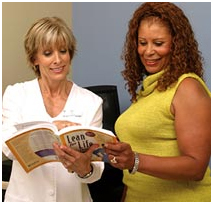 The patient is guided each day with the The New Lean for Life book. The program model has each patient coming into the clinic setting multiple times per week during their treatment term. The patient will sign-in and when the Lindora trained program expert is available be escorted into a private treatment room. Each treatment session includes routine measures such as: weight, body measurements, blood pressure, pedometer steps, exercise, and a review of the prior daily action plans (DAP). The DAP includes: foods eaten, carbohydrate, fat and caloric intake, and amount of fluid consumed. After this assessment new plans are created for the intervening days and individualized behavior modification counseling is provided to each patient. 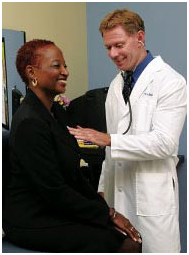 The initial consultation and the physical exam take approximately 20 minutes each. A daily treatment session takes 5-7 minutes. To make the proven Lean for Life® weight management program and tools available to individuals that do not live in areas with a Lindora Clinic we have created Lean for Life Online. Although it is not medically supervised, it has the same multi-faceted physiological, behavioral and cognitive therapeutic lifestyle change approach found in the clinic program and is therefore unlike any other program available online. This is supported by the results our online participants are reporting. Although the results do not reach the lofty levels realized in our supervised clinics, 70% of participants that averaged two online visits per week during their first ten week online program, lost a medically significant amount of weight. The data is in the table below. It is important to note that the weight data is self-reported by participants during each online visit. Unlike most Internet based weight loss programs that just track diet and exercise, the Lean for Life Online program’s most significant component is the daily process the individual follows to facilitate the necessary lifestyle change. The components that make up this daily process include: daily messages from the Lindora Clinic medical team sent via email (also available from within the online program interface), daily audio messages from Cynthia Stamper Graff, a reading assignment from the Lean for Life book, a quiz to test and reinforce what was learned in the reading, tracking tools and a daily journal. Leveraging knowledge gained from millions of patient interactions in the Lindora Clinic each daily message provides education, goals, and tips to face the challenges for that day. These messages have been written by the Lindora Clinic medical team and reflect what would be discussed in the Lindora Clinic setting for each day of the program. We often hear from participants that these daily messages were exactly what they needed for that day. Listening to Cynthia’s daily audio messages instills a confidence that success is not only possible but will be the result if the program is carefully followed. These messages are full of encouragement and contain additional tips for successful weight management. The book reading and quiz further reinforce these same messages. The multi-modality of the program is one of the keys to its success. The tracking tools and daily journal are similar to what most other programs offer. Augmenting the online program Lindora Clinic offers telephone coaching. Lean for Life Certified Educators have had experience prior to receiving the additional training required to join our team of online Coaches. These are among the best and most experienced employees of Lindora Clinic. They depend on their experience to recognize the subtleties in a conversation that suggest what struggles the participant may be experiencing and what will best assist them in facing their challenges. These individuals are exceptional counselors. They know when to be tough, when to be compassionate and what each individual needs to be successful. Participants that have coaching calls as often as every week during the course of their ten week program are more adherent and enjoy greater success. Although the Lean for Life® program can be successfully completed only with food purchased from a local grocery store, we offer a line of compliant products as a convenience. These products are formulated to provide an optimal blend of high grade protein, carbohydrates and nutrients to keep you feeling full, help you avoid cravings, protect your lean muscle and keep you energized. Each product must pass a rigorous taste test process before we will sell it because we understand that regardless of the qualities of the ingredients it the product doesn’t taste good it will be used less often, reducing their value. Our products prove you can have great taste and the nutrition your body needs without the high fat and carbohydrates of other energy bars or protein products. It only takes one bite to recognize the quality difference. Create a Healthy Role Model program to provide visible examples of what can be accomplished and to encourage the use of the weight management programs. Training of corporate office supervisors to ensure the message points are well understood and will be properly conveyed to employees during department meetings. Emails / Newsletters / Intranet. To develop a company wellness culture with consistent message points and to provide education regarding the weight loss plan; how to take advantage of the plan; and announcement of activities and events. Posters, fliers, marketing materials, newsletters to develop a wellness culture and to provide multiple, consistent messages with the same primary goal. Lunch and Learn sessions with promotions for free sessions or even a free weight management program. i National Center for Health Statistics, Prevalence of overweight and obesity among adults: United States, 1999-2002, Internet: http://www.cdc.gov/nchs/products/pubs/pubd/hestats/obese/obse99.htm. iiFord, E.S., Eilliamson, D.F., & Liu, S., “Weight change and diabetics incidence: Findings from a national cohort of US adults,” American Journal of Epidemiology, 1997, 146(3), pages 214-222.
iiiMokdad, A.J., Ford, E.S., Bowman, B.A., et al., “Prevalence of obesity, diabetes, and obesity-related health risk factors,” Journal of the American Medical Association, 2003, 289(1), pages 76-79.
ivNIH, NHLBI, Clinical guidelines on the identification, evaluation, and treatment of overweight and obesity in adults, 1998, HHS, PHS. vAldana, S., “Financial impact of health promotion programs: A comprehensive review of the literature,” American Journal of Health Promotion, 2001, 15(5), pages 296-320.
viJeffrey, R. and R. Wing (1979). “Frequency of therapist contact in the treatment of obesity.” Behavior Therapy 10: 186-192.
vii, viii Vash, P. and Risser, J., “Weight Loss Results After One Year of Continuous Treatments at a Medically Supervised Weight Loss Clinic,” The Bariatrician, Spring 2005, pages 10-17.